Even though some of their beliefs don’t fit our modern sensibilities, the Founders embraced world-changing ideas about justice and freedom. To appreciate this, it is helpful to understand how people were governed in the centuries before America’s Founding. 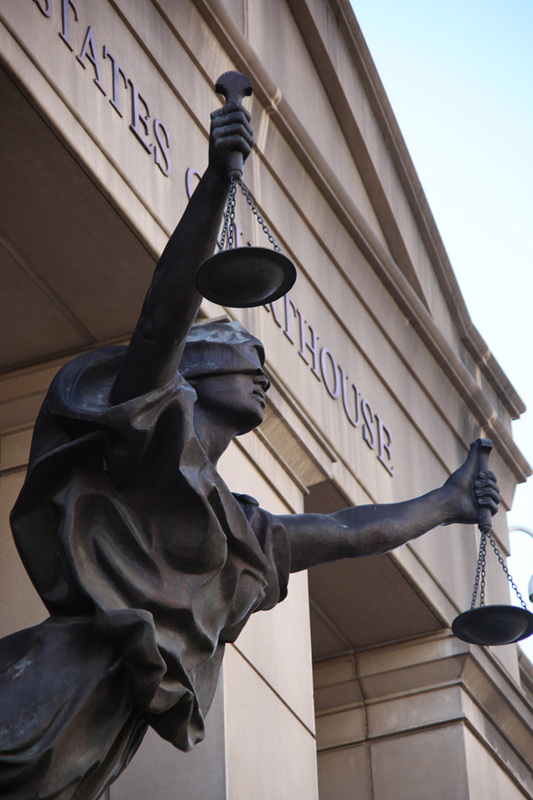 The scales of justice are a symbol for the justice system in the United States. Throughout history, most people have been treated unequally by their rulers. Unless one were born into a privileged family or tribe, there was little access to the precious resources that are taken for granted in a prosperous society—things like meat, well-defended shelter, and education. In many cases people might be enslaved, or something close to it. People were treated unequally, both so that the powerful could have more comfort, and because rulers believed most people couldn’t be trusted to make decisions about how society should operate. As we have seen, the Founders declared that no one has a right to rule others simply because of the family into which he’s born. Instead, they believed that everyone is born with certain rights and that the law should equally protect people’s freedoms and property. “That alone is a just government,” wrote James Madison, “which impartially secures to every man, whatever is his own” (James Madison, “On Property,” 1792). This was important to the Founders because they believed government exists not only to make rules; but also to ensure justice. 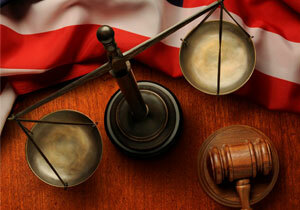 The Constitution protects justice for all citizens in the United States. As American ideas about equality changed, we enacted laws to free American slaves and to extend voting rights to women and those without property. We moved to stop government agencies from treating African Americans unequally, whether by denying them the right to vote, denying them access to city-owned hospitals, or simply failing to extend to them the same police protection enjoyed by other citizens. A long period of mistreatment had contributed to substantial poverty in African-American communities, and this was not the only inequality in the United States. A growing economy presents numerous opportunities for people to start new businesses, or find ways to earn money using their particular skills and ideas. Just as varied abilities (and sometimes luck) ensure that different players on a baseball team will score different numbers of runs—even when they’re all playing by the same rules—a free economy yields different rewards. It offers substantial benefits to everyone participating in it, but especially large rewards for people whose luck, skill, or perseverance makes them exceptional. Despite the Great Depression and two world wars, Americans—even the poorest Americans—saw their standard of living rise tremendously during the twentieth century. Our understanding of equality and fairness was changing, however. While the Founders believed government should protect everyone’s rights impartially, many Americans came to believe that outcomes should be more equal. We began to take money from some individuals to give to others, and to offer special benefits, like preferential treatment for minority-owned firms seeking government contracts. In order to achieve more equitable outcomes, in other words, our government began to treat people unequally. Some people see this as necessary to pursue equal treatment. Their point is that if the game has been rigged to keep some people from scoring, it is not fair to just start treating everyone equally, because some are now behind in the game. Efforts to redistribute wealth and adjust racial, ethnic, and gender proportions in workplaces and even sports teams are, they believe, necessary to achieve the Founders’ vision of a society where everyone has equal protection under the law. This statute on front of a courthouse is holding the scales of justice and her eyes are covered. What do you think her blindfold represents? Others argue that two wrongs do not make a right, and that we are punishing people who did nothing wrong for the sins of their ancestors. People are getting accustomed to living on government programs, they say, creating long-term dependency. Americans disagree about what our government should do—if anything—given the unequal outcomes that naturally occur in a free society. Thankfully, the Founders crafted a political system we can use to work out our disagreements. What we should avoid, meanwhile, is taking for granted that we will always enjoy the equality our Founders promoted. We each depend on our government to protect our rights equally, but we have to remember that this depends, in turn, on citizens upholding that ideal. For example, if we see someone who is charged with governing others—whether a senator, a mayor, or even a homeowners association president—allow favored members of the community to get by without following rules, or, worse still, make rules designed to hurt those they disfavor, we should question the justice of this. Even if we turn out to be mistaken, citizens must be willing to ask such questions, if only to remind ourselves—and our elected officials—that equal treatment before the law is essential to freedom.